As most of you probably know, American introduced one-way awards last year. Many hailed it the best change to a frequent flier program in years, but I was less optimistic. Why? As usual, they give and they take. Offering one way awards was the death of the stopover for American. One of my favorite things about award tickets is being able to visit two destinations without paying anything extra. 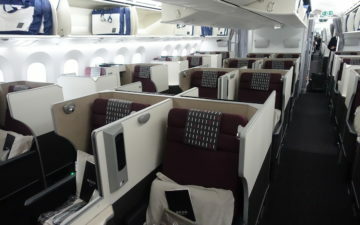 For example, on my American award last year, I managed to fly Cathay Pacific first class to Hong Kong, spend some time there, and continue to Manila. Now I’d have to book an award to Hong Kong and then a separate award to Manila. Anyway, I now see a bit of upside to it. My brother is in Brazil at the moment and used miles for a first class award. On the outbound he flew through Dallas to Sao Paulo on American in first class, and I booked him on JAL on the return from Sao Paulo to New York (gotta love a Japanese airline flying that route)! The only thing is this is peak season and he had no clue when he had to return. The original return was for the middle of this month, but due to many factors outside his control he might have had to return early. 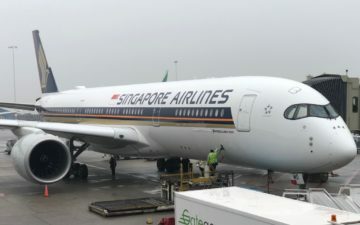 This would be an issue at United — once travel commences on a Star Alliance award, no changes can be made if any more travel occurs on a partner carrier. My brother had quite a bit of flexibility through American, though. Because he was basically on one way awards, each direction cost 62,500 miles (in first class). So again this is absolute peak season returning from South America, but we had several options — hope for JAL first class to open up for an earlier date, hope for a saver award to open up on American in first or business class, or absolute worst case scenario book a “standard” award for the one way portion of the trip in business class and pay a bit more. I made several changes without ever paying a fee (amazingly enough, even with a routing change!). Fortunately perfect availability opened up yesterday on today’s JAL flight. So I managed to book him in first class. Anyway, this isn’t something that’s particularly valuable to me, since I can usually plan and not make changes, but to someone like my brother, it’s a huge benefit. And while we’re talking about his flights, I figured I’d share part of the email he sent me after he landed in Sao Paulo a bit over a week ago — “Don’t feel like a valued customer at all although I’m in F … First time I’ve had this feeling flying F.” He has flown a lot of first class, but sadly I can’t say I’m surprised. The inconsistency of US airlines, eh? Lucky, the largest Japanese population outside of Japan is in Brazil, so it isn’t surprising that JAL would fly that GRU-JFK route. I like the idea of one way award.